The subject of semillon came up the other day, fresh in my mind having just posted a piece on Mount Horrocks Semillon and notes on a vertical tasting from 2001 to 2010. We, that is Master of Wine Peter Scudamore-Smith and I, were reminiscing on our formative wine days in Australia and some of our mutual mentors with the conversation leading to the Hunter Valley and the legendary semillons from Lindemans, Maurice O’Shea—McWilliams and interestingly, a shared enthusiasm for the barrel-fermented Rothbury Estate Black Label Semillons that Len Evans championed, wines of extraordinary richness and complexity in the vein of opulent Montrachet. It’s time for semillon to step out of the shadows and into the limelight for some much-deserved recognition. Should you ask me what is the most unfashionable or under-rated white grape variety in terms of quality, in Australia or the world for that matter, my answer would be semillon. While semillon is acknowledged as one of the noblest of all grape varieties, it has not gained this in a global sense or as a stand-alone variety, rather it is invariably blended with its time-honored partner sauvignon blanc. Being the prominent component of a composite is hardly discreditable, a case in point being that it is the crucial ingredient blended with sauvignon blanc in the lusciously sweet wines of Sauternes, the most famous being the synonymous Chateau d’Yquem, a wine capable of unparalleled longevity. In the same vein semillon is the requisite backbone for the great white Bordeaux Chateau Haut-Brion Blanc, in appellation Pessac-Leognan, again known for its remarkable longevity – 30 to 50 years plus. I can still clearly recall as a young sommelier, the exhilaration of opening several bottles of 1938 Chateau Haut- Brion Blanc at a function marking a significant birthday for prominent Australian wine writer James Halliday, and the jubilation of a 50-year-old white wine tasting so amazingly youthful and vibrant yet equally complex as any celebrious white burgundy. However, exceptional quality for unblended semillon is unique to Australia, where it is responsible for some of the most phenomenal, long-lived and highly decorated wines in the country, and with a history dating back to the 1830s, when it was first planted in the Hunter Valley. In the golden era predating the commercialization of Australian wineries, Hunter Valley semillons such as Lindemans Hunter River White Burgundy or Chablis (as labeled then), McWilliams Hunter Valley Riesling (the more common name at the time), Tyrrell’s Vat 1, Rothbury Estate, were all classics. If you had the good fortune to be entertained by legendary wine writer the late Len Evans at his Hunter Valley property, chances are he would have served you up a 30- or 40-year-old Hunter semillon blind (masked bottle). After letting you make a complete fool of yourself waxing lyrical about the venerable German riesling or white burgundy, he would then give you a surly, laconic lecture on Australian semillon. The cellar I presided over as a sommelier during the late 1980s in Melbourne had a treasure trove of Hunter Valley semillons, including an inordinately large cachet (due to the owner’s close relationship with then proprietor Len Evans) of the legendary, if not atypical at the time, barrel-fermented Rothbury Estate Black Label semillons from the 1972 and 1979 vintages. I had enormous pleasure in serving these Rothbury wines masked to amendable overseas patrons who invariably picked them for a prodigious Montrachet and were perplexed how a totally unknown Australian white wine could be so extraordinarily complex, and at a paltry A$30 (HK$190) a bottle in a restaurant. Despite unquestionable distinction and accolades, Australians love to knock semillon and apart from the most fiercely parochial Sydneysiders, without whom the Hunter Valley would not survive as a wine region, it suffers an unexplainable equivalence of vinous leprosy. Even the savviest sommeliers from top restaurants that advocate the very best contemporary semillon producers, declare they languish on their wine lists. There was a brief moment of hope for Australian semillon when Penfolds announced its celebrated red, Grange Hermitage, needed a partner and under a shroud of secrecy a super-premium white wine was being developed. There was much speculation that this would be a straight semillon, surely the logical choice, yet with a national groan of disappointment, the much-anticipated wine turned out to be a chardonnay from the Adelaide Hills. Adding insult to injury, the wine, which was called Yattarna (an Aboriginal word meaning “little by little”) was a complete flop. One theory on semillons international disfavour is its difficult pronunciation. To the uninitiated the intelligible pronunciation is likely to be “se-mi-llon”, however the correct pronunciation is “sem-ee-on”, the two L’s being silent in French grammar, thus consumers invariably suffer the embarrassment when corrected by some exhibitionist sommelier or wine bore. Ironically, semillon (normally blended with sauvignon blanc) produced in its spiritual home of Graves and Bergerac in southeast France does not suffer to the same extent, as it is not varietally labelled, rather by proprietor and appellation. Thus, the loyal following of British holidaymakers who have laid siege over the Dordogne are less impeded by these enunciations. I suspect the main contention with unblended semillon is the bracing acidity levels it has in its youth, capable of searching out cavities and sensitive nerve ends you did not know existed. It can take over 10 years bottle age to tame these acidities and such a long courtship simply does not suit the modern-day, mass-market vinous libido. More approachable straight semillons do exist in Australia, mainly attributed to full or partial fermentation in French oak barrels. Mount Horrocks (www.mounthorrocks.com) from the Clare Valley is arguably the best of its style in the entire country(see article “Mount Horrocks Semillon – Watervale, Clare Valley, South Australia 10-Year Vertical 2010 to 2001 – One of the World’s Great White Wine Bargains” http://www.thewanderingpalate.com/?p=7048.) In the Barossa Valley, the Christa Rolf semillon made by sibling team Christa and Rolf Binder (www.veritaswinery.com) is the benchmark of the region, and is a well- gauged mixture of barrel and tank fermentation. 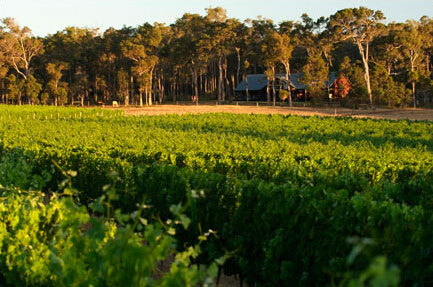 However, it is the Margaret River region in Western Australia that has had the most success with a contemporary style of semillon, although more as a blend with sauvignon blanc than on its own. Surrounded by the westerly influences of the Indian Ocean this Bordeaux-like maritime climate has long, dry, mild summers, and is ideally suited to these varieties. The prevailing Margaret River tenor is semillon sauvignon blanc made in a modern drink-now unwooded, fresh and crisp, juicy stone and tropical fruit driven style, although crucially balanced by vibrant citrus qualities and generally over-delivering in quality for the price point. Indeed it competes commensurately with Marlborough sauvignon blanc in the everyday drinking market and popular casual eateries in Australia with successfully entrenched labels such Cape Mentelle (same family as Cloudy Bay, need I say more) leading the way. However, the sleeper of the region, and making infinitely more complex and refined wines in the Graves style, is a small winery called Arlewood. Their Sussex Loc cuvee, of which only 300 cases are made from 17-year-old semillon and 11-year-old sauvignon blanc, has components that are barrel fermented then blended with the tank fermented wine and all aged in French barriques for a further 18 months. The wine has the structure and of course, ever-present acidity to easily age for a decade or more. Moreover, it is exceptionally well priced and would not disgrace itself among white Bordeaux at several times the price. Arlewood Sussex Loc 3991 Semillon Sauvignon Blanc 2005 (HK$190). I decanted the wine to let it breathe; yes, many white wines also benefit from decanting. Indeed, it opened up nicely with a sherbet of grapefruit, lemon zest and scents of kiwi fruit, evolving to a more exotic melange of guava, ripe peaches and custard. Fresh coconut and toasted almond wood characters mixed with the fragrance of banana, and summer fields of straw and peppery olive oil. A juicy, tangy palate entry loaded with piquant lemon, then fleshing out with succulent peaches and nectarines, although the lemon edge is ever- present. The wine has a silky creamy, soft textured mouthfeel as the intense citrus acidity lingers. Arlewood Sussex Loc 3991 Semillon Sauvignon Blanc 2002 (from winery museum stock). Brilliant eye-catching gold colour. Citrusy scents amongst peppery olive oil and summer hay barn, evolving quickly to richer poached peaches and creme caramel, warm buttered toast and wild cone honey, with a subtle background of hazelnut and almond oak characters. Creamy palate entry bursting with ripe peaches yet oscillating with intense lemon, tamarind peel and piquant marmalade characters; vibrant citrus lingers forever with a warming tingly spiciness and subtle vanillin oak. Seamlessly viscous throughout yet incredibly lively and youthful; wonderful drinking now but will easily age a further decade. If you enjoy drinking grand cru chablis, you will easily appreciate the Arlewood style. I can envisage these wines pairing very well with good-old-fashion roast pork apple sauce, yet also having the power to handle, tangy Thai salads and spicy seafood curries. Available from Margaret River for Asia; ( www.margaretriverforasia.com , tel: 9803 1873; In Singapore through La Vigne, 40 Holland Grove Road, Ph 6462 0053; also try Web site www.arlewood.com.au). UK Agent, The Wine Treasury; www.winetreasury.com. While you’re there, I would highly recommend purchasing some Arlewood Cabernet Sauvignon 2003, unquestionably one of the top reds from the region. 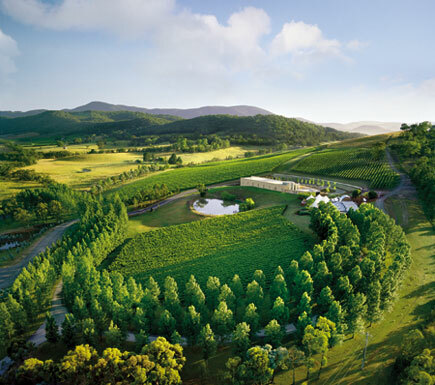 The most consistent producer in the Hunter Valley, making wine since 1864, is Tyrrell’s whose Vat 1 Semillon is one of the most highly decorated wines in Australia. Tyrrell’s Hunter Valley Vat 1 Semillon 1999 is infused with the scents of citrus, white clove honey, poached pears and ripe golden apples. The wine has oily, toasty nuances with smells of roasted almonds and hazelnuts, while retaining a constant freshness with subtle hints of mint and white pepper. The citrus-driven exhilarating palate entry fills the mouth with a tangy, succulent mandarin and Tahitian lime juiciness. Lean and chalky frame yet becoming more textural towards the back palate with a waxy cone honey feel, although overwhelmed by a crescendo of lemony cobalt- acidity, finishing with a phenolic chalkiness and lingering wet clay earthiness and straw characters. Although thoroughly enjoyable now, it is a bracing wine at seven years old and will easily age for a further decade or more. Available through Remy Fine Wines (Tel: 2845 5995; www.tyrrells.com.au). One cannot speak of the Hunter Valley without mentioning the legendary Maurice O’Shea and wines made under the McWilliams label. For a fascinating insight of Australia’s greatest vigneron and the history of the Hunter Valley, read “Wine Hunter”, by independent wine journalist and author, Campbell Mattinson. Available through his website www.winefront.com.au Published by Hachet Australia ISBN 0-7336-2125-2. McWilliams continue to make outstanding semillon under their Mount Pleasant ‘Elizabeth’ label, particulalry the museum release semillon, and single vineyard Lovedale, planted in 1946 by Maurice O’Shea. (www.mountpleasantwines.com.au).